Multiculturalism oppresses individualism. In a nutshell, that is the simple yet astute view of Nima Gholam Pour, a conservative writer and brave member of the board of education in the small Swedish southern city of Malmö. A massive influx of migrants has overwhelmed Malmö. An estimated 20 percent of its 300,000 population is Muslim. This city, once considered a “nice, beautiful, safe” place, is now considered by police to be one of the no-go zones of the region. Historically, Swedes were good nationalist folk. They were not so-called “white nationalists” or “haters.” They were kind neighbors, a generous and loving people with good values in general. Swedes are altruistic. They try to be fair, empathetic and “do the right thing”; or “rite ting,” as my grandfather would say with his Swedish accent. But they were not doormats. Times have changed. Recently, Malmö became the new home to the largest mosque in Scandinavia. No doubt sensing that this news would not be well-received among locals, Swedish media chose to completely hide the story – much to the ire of Mr. Pour. For him, it seemed to be the final straw. In most democratic countries, the media should be critical of those who hold power. In Sweden, however, the media criticize those who criticize the authorities. Criticism is not aimed at the people who hold power, but against private citizens who, according to the journalists, have the “wrong” politicallly incorrect ideas. TV4 and all other media refused to report that it was Muslims who interrupted the prime minister because they wanted to force Islamic values on Swedish workplaces. When the Swedish media reported on the event, the public were not told that these “hijab activists” had links with Islamist organizations. Rather, it was reported as if they were completely unknown Muslim girls who only wanted to wear their veils. The Swedish media are politicized to the extent that they act as a propaganda machine. Through their lies, they have created possibilities for “post-truth politics”. Instead of being neutral, the mainstream Swedish media have lied to uphold certain “politically correct” values. One wonders what lifestyle and political stability Sweden will have when no one can know the truth about what is really going on. However, what Mr. Pour failed to identify is who’s behind “the media.” This is the eternal question we ask at TNN: Who is doing this? Was this an oversight or a deliberate omission for the sake of being “politically correct”? No, probably not the latter, because that would make him a hypocrite. 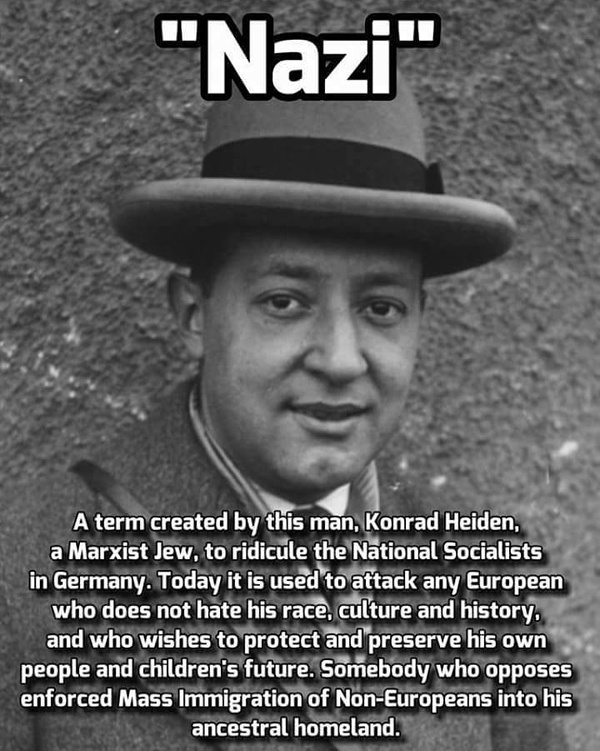 Rather, it’s more likely that he himself – as well as the majority of the world – hasn’t come to grips with the fact that, by and large, radicalized Jewish leftists and globalists are the owners and operators of the “politically correct” mainstream media and the wealth spring of the vile, self-destructive, hyper-liberal ideology it spews. This is becoming abundantly clear in U.S. as well as European media. The Jewish family Bonnier owns the Bonnier media empire, and the Jewish family Hjorne owns Stampen. Major international banks with Jewish CEOs — such as Goldman Sachs, JP Morgan and Bank of New York Mellon — own and control Schibsted publications. Among smaller publications and television, the pattern of ownership is similar. Even when the owners are not Jewish, the persons placed in controlling positions within the organization most often are. Yet, on the whole, Jews make up a tiny percentage of Sweden’s population. There are only an estimated 20,000 in this country of 10 million. Even media from outside Sweden try to bully and shame Sweden’s leaders into submission on the migration issue. A perfect example of this is an April episode of “Conflict Zone,” a hyper-liberal/globalist program produced by German state television news agency Deutsche Welle (DW). DW correspondent Michael Friedman interviews (in English) Sweden Minister for Justice and Migration Morgan Johansson about how the country is dealing with the migration crisis. I recommend the entire 25-minute video; but, if you don’t have the time or patience, jump to 8:00-11:00 during which Friedman, with extreme sarcasm, tries to shame Johansson for not accepting more migrants faster. His crime was discovered almost by chance. Police were investigating an Eastern European prostitution ring when wiretaps led them to the name “Paolo Pinkel.” According to the weekly magazine Der Spiegel, Friedman used that name when he invited three Ukrainian prostitutes to the Inter-Continental Hotel in Berlin and offered them cocaine. Investigators raided Friedman’s home and offices last month and found small amounts of the drug. Indeed, he did — at DW. So we have a country, that just five years ago ranked among the world’s top economies and high in indexes for quality of life and happiness, trying to face the economic, cultural and security burden of mass migration followed by civil unrest and coupled with attacks and propaganda by domestic and international radicalized Jewish-leftist mainstream media. Why does it matter who controls the media? Because the media shapes reality for the majority of the people and, in a democracy, that can be a very, very dangerous thing. Media dictates culture and controls politics. Politicians create laws. Next thing you know, a 70-year-old Swedish woman is being arrested for hate speech after complaining about migrants on social media. Constitutional rights be damned. See Word Games: Thought Police Label Speech as Crime. This is not my grandfather’s Sweden. It’s a world gone mad. It’s institutional capture. In close, here’s a troubling tale of a Somali journalist who visited Sweden then fled following threats for telling the truth. It’s all about who controls the media and thus the thoughts and beliefs of the populace. Limit the information available and 90% of the people will only be able to feed on it and nothing else. Most people can’t think for themselves and are reliant on the herd to know which way to go. Media steers the herd. Simple. Article was 90% down-voted at Sweden Reddit. To recap, it called out the repeatedly unidentified Jewish capture of media there, which is hiding truth and pushing globalism from inside and outside the country; reminded Swedes of their good nationalist heritage; and used sound voices of good, intelligent Muslims to illustrate the problem rather than unfairly demonize them all as criminals. So in other words, there was something for both political sides to hate. By the way, Trump to UN just said he puts America first just as all leaders should put first the people of their own countries. This comment was met with a few claps from audience members but mostly silence. Truly sad. You will be happy to hear that the article at Reddit enjoyed a come back to 83% downvoted. What patsies and smucks. Here is why the US hates Somalia so much. Somalia is actually a great case study in free human will and self determination. Since the days of anarchy and government overthrow, the Law of the Somali’s has taken control, aka cultural law and customs over bureaucracy (US hand picked at that). 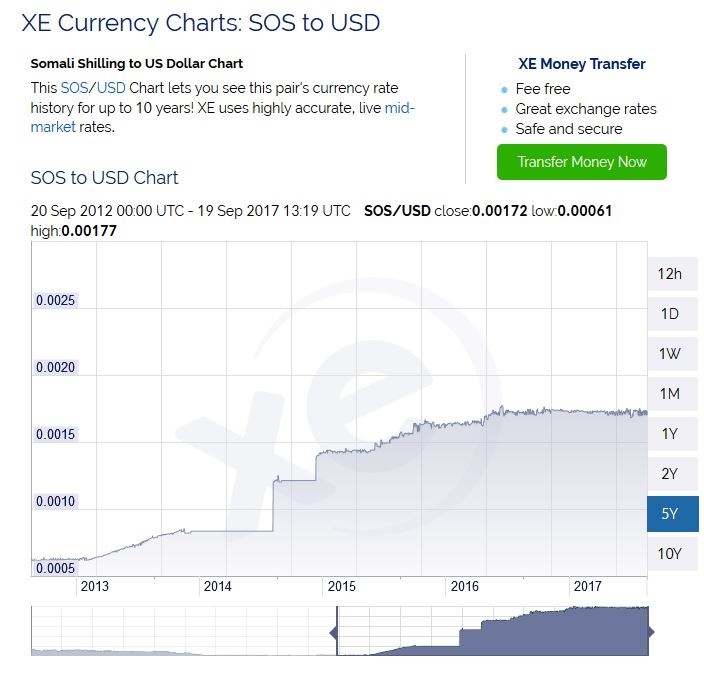 The somali shilling has risen like 400% in the past two years in relation to the US dollar and as all wars are banker wars and the Somali’s are finding their own self determination outside of the Jew World Order, they are demonized and ridiculed in the media as a third world nation or dirt poor. We westerners could learn a thing or two from Somalia. Just like Christian missionary conversionists from the USA, these Muslims see the priority as the ‘opening of Europe’ to becoming Islamic. Their cheering of Muslim arrivals & Muslim fertility in having children in Europe, overwhelms any concern about the demonisation of Muslims re the arguably false-flag dodgy-seeming ‘Muslim terrorist’ attacks. What concerns me far more are the loss of many top notch You Tube videos. We use them frequently and if you go back to older articles you will often see them scrubbed. This leaves a hole in our work. They have really hit the staged deception research community hard. A number of been outright banned. So the muslim community does take their invasion of the West seriously. We are often chided for fearing Islam and overlooking the toxicity that is Talmudi Judaism, but clearly, the Muslims are determined to islamify the world if they can and considering that the ones that get displaced are helped by the talmudic zionists , I have no doubt that they’ll find a way to work together to the detriment of the Christians such as they are. Are there many Egyptian, Iranian or Syrian refugees? Sums it up for me. Today’s Sweden article was 90% downvoted at r/swedishpolitics. We can only pray this was the result of online brigading. If it is genuine then shame on you: Sweden is finished, may as well re-name it New Mogadishu. 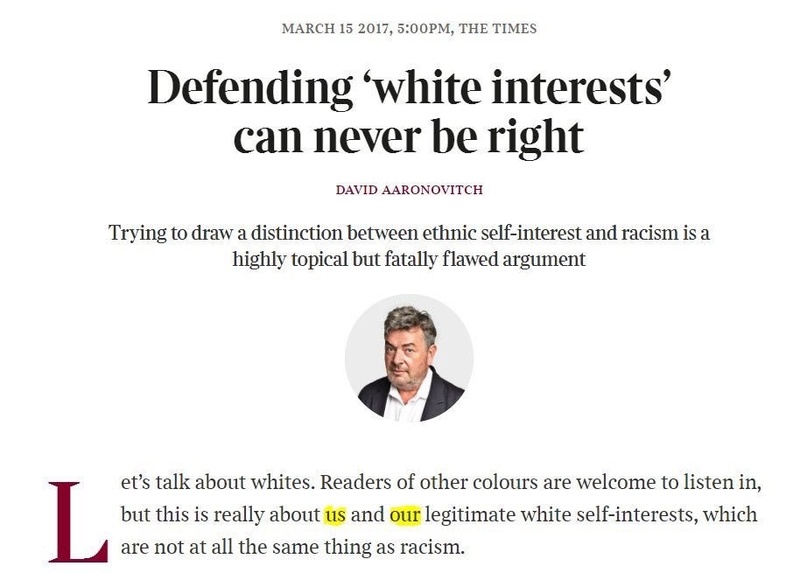 David (((Aaronovitch))). Every- Single- Time. The infamous American Jew Barbara Lerner Spectre shows up in Sweden founds Paidela Stockholm and proceeds to offer up demographic advice to a country in which she has no roots. Barbara Spectre is from Madison, Wisconsin. She studied at Columbia, a very CIA uni. Jews have no roots, they parasitize on other’s cultures. People try to be nice, accepting. Whatever. Well their holocaust narrative is dying. Like a stale fart in a jew deli. Their power needs to discussed and brought into the public narrative. Constantly.